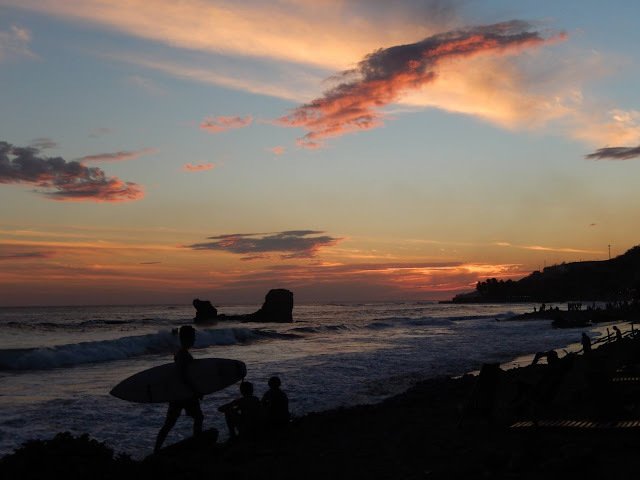 Growth in the tourist industry would undoubtedly help El Salvador. Recently the world travel press has been singing the praises of this great little country. 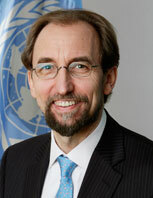 The United Nations High Commissioner for Human Rights, Zeid Ra’ad Al Hussein, visited El Salvador this week. Today he went to the University of Central America as part of the commemoration of the 28th anniversary of the murders of six Jesuit priests, their housekeeper and her daughter by government soldiers. Zeid is the first holder of that position to ever visit El Salvador. During his visit he met with the president and other senior officials and legislators. He also heard from human rights advocates in the country about their many concerns over extrajudicial killings, LGBTI hate crimes, discrimination and violence against women, and more. Today is another anniversary of the November 16, 1989 massacre of six Jesuit priests, their housekeeper and her daughter by soldiers of the Salvadoran armed forces. With this anniversary comes some progress towards justice in the case. The United States Supreme Court rejected yesterday a last ditch effort by former Colonel Inocente Orlando Montano to stay his extradition from the US to Spain where he is a defendant in a court case against the military officers behind the massacre and its cover-up. At the time of the massacre, Montano served as the Vice Minister of Defense for Public Safety, in command of the National Police, the Treasury Police, and the National Guard. Two weeks ago, between 300 and 400 vulnerable and endangered sea turtles were found floating dead off the coast of El Salvador. The reason for the die off was something of a mystery. 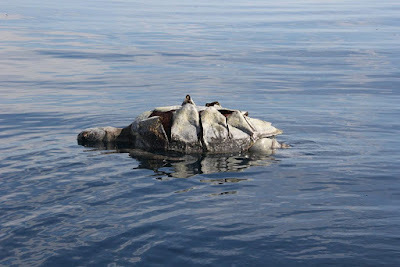 Now scientists at El Salvador's environment ministry (MARN) believe they have identified the factors leading to the sea turtle deaths. They point to the Pacific tropical storm Selma which struck El Salvador on October 28. That storm altered the course of currents on which the turtles travel and also stirred up sediments on the sea floor. The sediments nourished micro-algae which produce saxitoxin, a powerful paralyzing poison These toxins have been identified in the corpses of dead turtles studied by the scientists. During 2017, El Salvador has seen a reduction of almost 50% in Salvadorans deported back to the country from Mexico and the United States. Although some might be expecting a large increase in deportations given the rhetoric coming out of Washington, in fact the opposite has been the case so far in 2017. If the 195,000 Salvadorans in the US on Temporary Protected Status (TPS) hoped to get clarity on their status from a decision today by the Department of Homeland Security, they were disappointed. Today was the date for DHS to act on TPS for Honduras and Nicaragua, for those who had been in the country since Hurricane Mitch in 1998. Although a letter from Secretary of State Rex Tillerson last week seemed to make a negative decision probable, the action by DHS today was more of a non-decision. In June 2016, the mayor of Apopa, a small city located just northeast of San Salvador was arrested along with several members of the municipal government and police force. 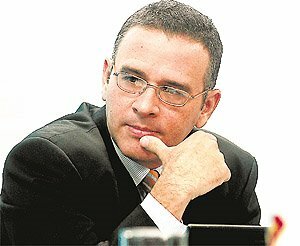 The mayor, José Elías Hernández, was accused of ordering a murder of a gang member as well as putting the offices of the city government at the service of local gangs. This week InsightCrime published a lengthy investigation into the Apopa story titled Symbiosis: Gangs and Municipal Power in Apopa, El Salvador. InsightCrime also published a video conversation with Héctor Silva Ávalos, one of the lead investigators for the story. Some of their earlier reporting on this story appeared in March titled El Salvador Ex-Mayor Ordered Gang to Kill Local Official, Police Say.